Pamper yourself with a visit to the spa, which offers massages, body treatments, and facials. You're sure to appreciate the recreational amenities, including an outdoor pool, a sauna, and bicycles to rent. Additional amenities at this hotel include complimentary wireless Internet access, babysitting/childcare (surcharge), and wedding services. Make yourself at home in one of the 6 air-conditioned rooms featuring minibars. Digital television is provided for your entertainment. Private bathrooms with shower/tub combinations feature jetted bathtubs and complimentary toiletries. Conveniences include separate sitting areas and ceiling fans, and housekeeping is provided daily. Offering stunning views of the Umbrian landscape, Borgo di Celle occupies a fascinating medieval village thoroughly restored to offer a modern hotel in a distinctively historic setting. Set in one of the most exclusive and quietest parts of the upper valley of the Tiber, the hotel offers a relaxing atmosphere and elegantly furnished accommodations equipped with all amenities expected. 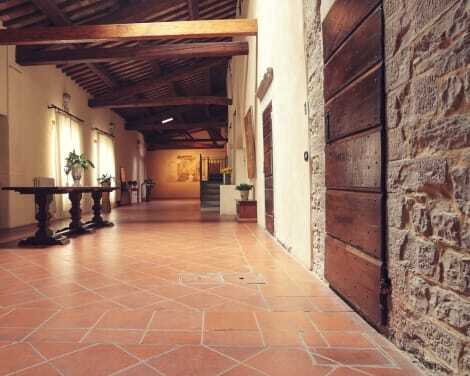 Borgo di Celle boasts its own typical Umbrian restaurant offering typical Umbrian and Tuscan produce. The property also has a welcoming bar, a spa, indoor and outdoor swimming pools, an ample solarium. The hotel also features a charming small chapel devoted to Saint Andrew. Decorated with Signorelli frescoes, the chapel is ideal for wedding celebrations. lastminute.com has a fantastic range of hotels in Citta Di Castello, with everything from cheap hotels to luxurious five star accommodation available. We like to live up to our last minute name so remember you can book any one of our excellent Citta Di Castello hotels up until midnight and stay the same night.